Inflows did not reach expected capacity for Flaming Gorge Reservoir during April and May, therefore the Bureau of Reclamation has decided to decrease flows to 6600 CFS for the next couple of weeks. Expect flows to increase again around the end of the month. 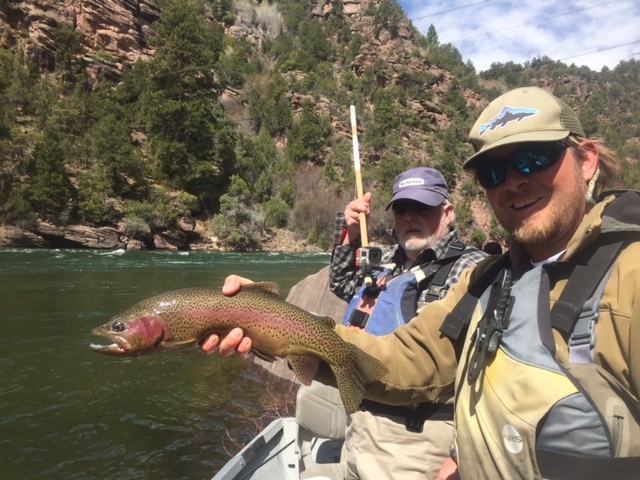 The Green River below Flaming Gorge Dam Utah is at 8600 cfs this spring. The fishing is good and BWO’s are hatching. 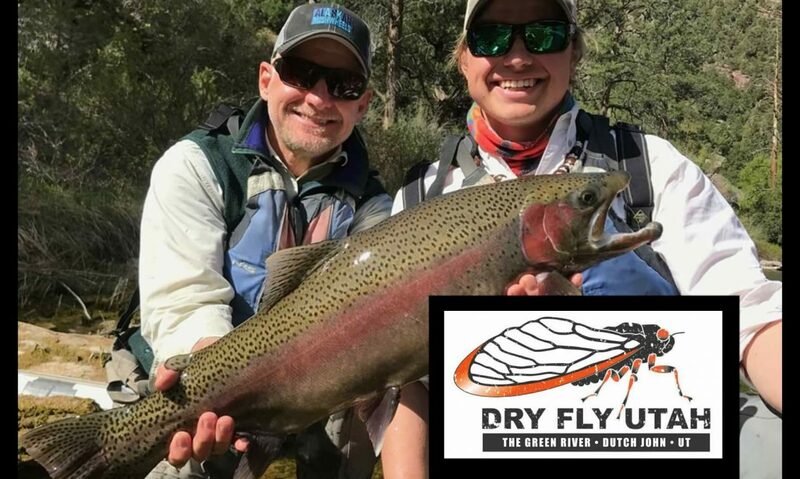 We went out the Snoys recently and landed fish on just about every method of fly fishing around- we used dries, dry dropper, nymphs, deep dredging, and streamers. It was a great few days- as always with the Snoys who landed some big fish! 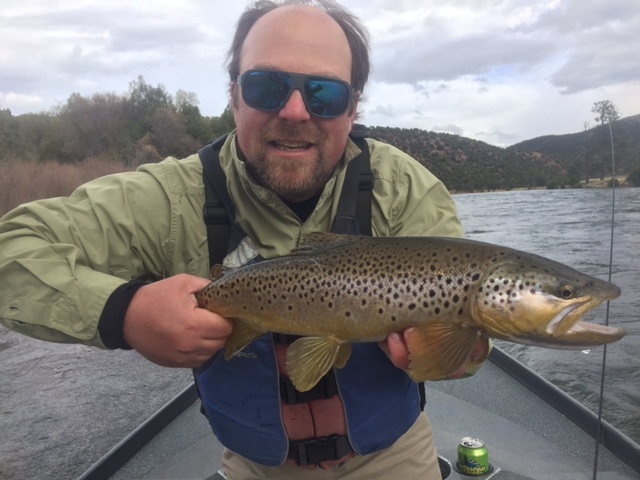 We started the day with a 20 inch Rainbow and ended it with a 20 inch Brown. Great time- nice job guys! The flows are high at 8600 CFS. But don’t let that scare you! 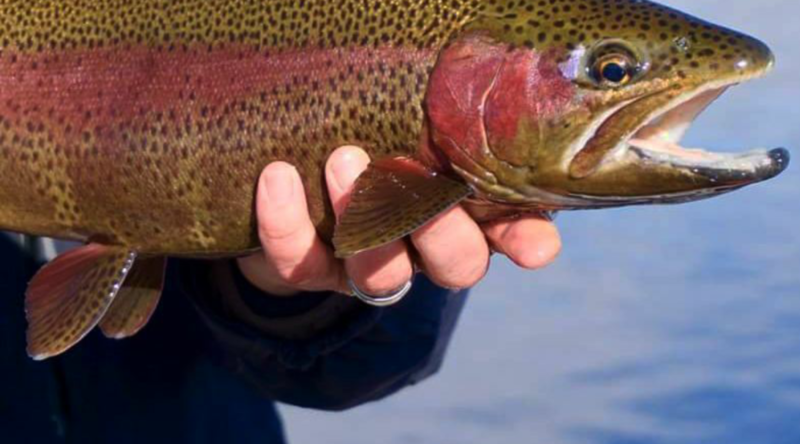 The fishing is great and there is a nice BWO hatch on. Try setting up a nymph rig for the upper A section, and on the lower near Little Hole you should be able to get some dry fly action! 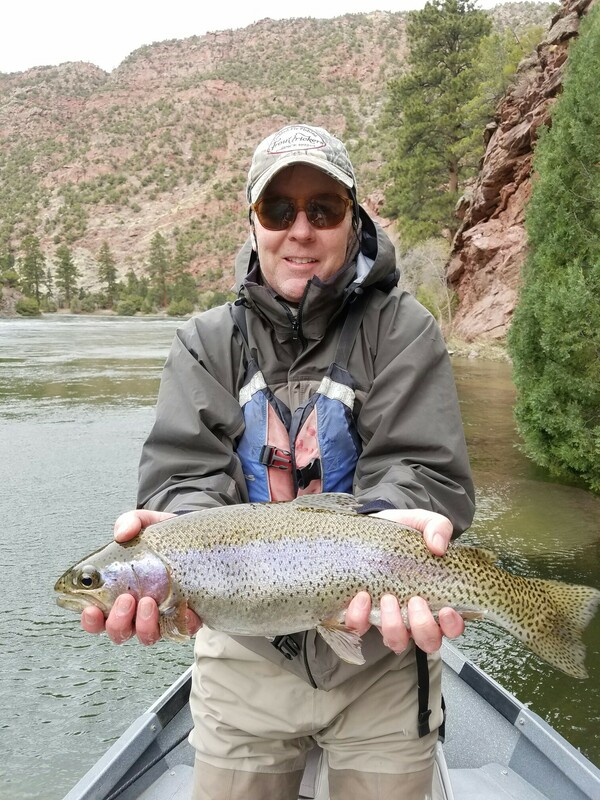 Mark Wilson landed this beautiful rainbow last week. Releases are currently 1,800 cfs and will be increasing within the allowable parameters of the Record of Decision, limiting increases to 50 cfs/day through the end of February. Releases will be increased to 3,000 cfs through March 2, 2017, according to the linked schedule. The February water supply forecast of the April through July unregulated inflow volume into Flaming Gorge Reservoir is 1.65 million acre-feet (169 percent of average). Additional storms throughout the basin increased the current projection to 2 maf (~200 percent of average). Current snowpack is 180 percent of median and we have received 124 percent of the seasonal peak for the Upper Green Basin with additional storm systems anticipated through February. 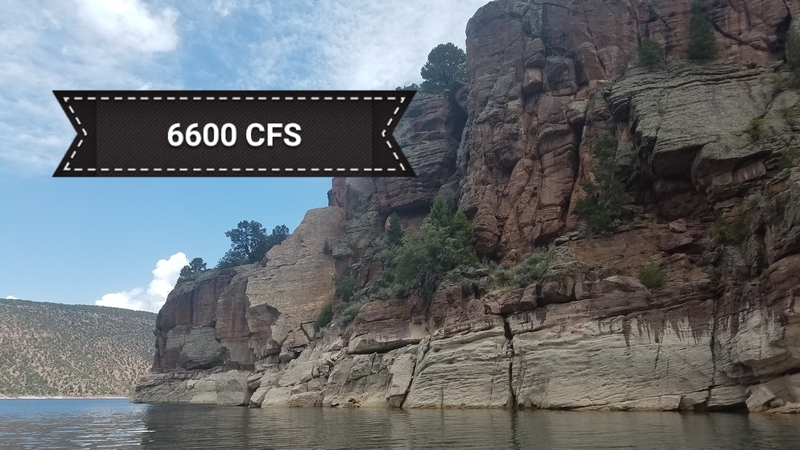 Flaming Gorge will be operated with the utmost caution to address the forecasted runoff. Extended bypass releases will be required to manage the runoff this year. Reclamation is advising all its stakeholders early of the extended bypass releases so that planning for the season may occur. The Yampa River Basin has not seen commensurate snowpack accumulation to the Upper Green. The February final forecast for Yampa River flows during the April-July period is 1.4 maf (113 percent of average), with the most recent raw model guidance decreasing to 1.377 maf. Yampa River flows are largely uncontrolled, which means the current forecast provides potential relief to forecasted peak magnitude flows this spring as compared against 2011. There is always the potential of increased snow accumulation within the Yampa River Basin, so please plan accordingly. 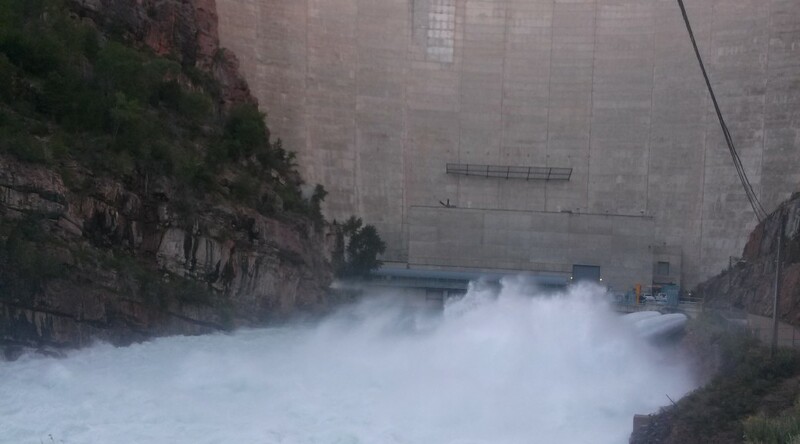 Unregulated inflow into Flaming Gorge Reservoir during the month of January was 49,000 af, or 122 percent of average. The reservoir elevation is 6,022.9 (82 percent of live capacity) and decreasing.